Aside from their carrying capacity, the main reason these vehicles can perform such a range of tasks is because of the attachments managers can specify to go with them. Among the most commonly used attachments are angle or rotary brooms, buckets, mowers, pallet forks, snow blades, snow blowers, sprayers and spreaders. 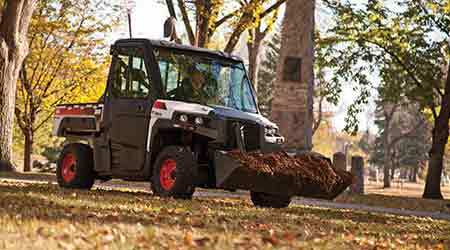 Many attachments can be used year-round and for more than one purpose, so they increase the return on investment for landscape managers.